We always think of Henry Ford being the first in fiberglass with his 1939 Ford trunk lid and the introduction of his prototype “Soybean Car” in 1941. So who’s number two? Who was brave enough to design, create, build, and test the second fiberglass car in the world? Thanks to the efforts of fiberglass friend, Darren Swanson, we now know that the answer to that question is Henry J. Kaiser. For today, here’s just a short note from the book “Kaiser-Frazer 1947-1955 Photo Archive” published in 2009 and written by Patrick R. Foster and Bill Tilden. Kudos to each of them for such a wonderful pictorial history on this fascinating postwar automobile manufacturer. 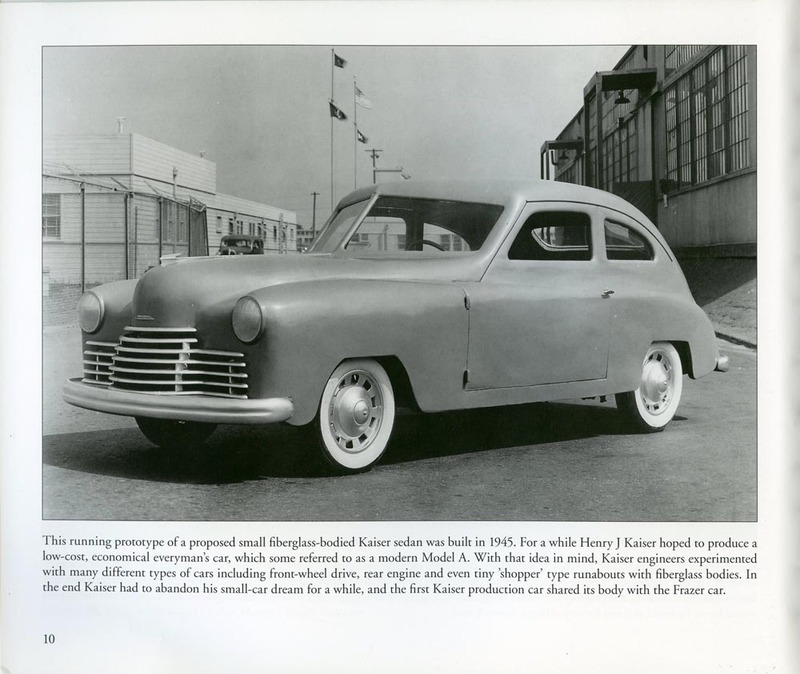 Caption: This running prototype of a proposed small fiberglass-bodied Kaiser sedan was built in 1945. For a while, Henry J Kaiser hoped to produce a low-cost, economical everyman’s car, which some referred to as a modern Model A. With that idea in mind, Kaiser engineers experimented with many different types of cars including front-wheel drive, rear engine, and even tiny ‘shopper’ type runabouts with fiberglass bodies. In the end, Kaiser had to abandon his small-car dream for a while, and the first Kaiser production car shared its body with the Frazer car. 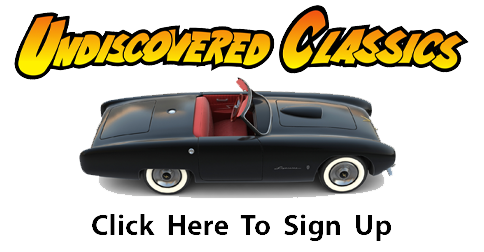 This wasn’t the only fiberglass concept car built by Kaiser during the 1940’s, and we’ll soon be hearing from Darren Swanson concerning his review and history of these special fiberglass Kaiser cars. There’s a lot more to share about Kairser’s effort, than you ever would have imagined. Neither did I. Darren Swanson’s research skill is impressive in every way! You just keep coming up with pictures of Old Fiberglass cars I have never seen before.Too bad Kaiser didn’t get to make a few 100 or so.Not too bad looking for 1942.